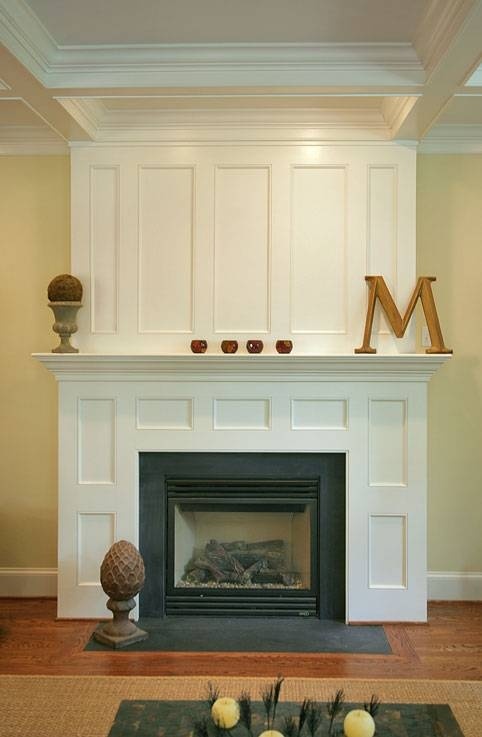 I posted a while ago that I wanted to paint the built-in shelves that surround my fireplace. When looking at this room from the kitchen, it always appeared so dark because the brick, wood beam and built-ins were darker in color. For pictures and tutorial on how I built the paneling click here: (this is coming soon!). I knew I wanted to paint the built-ins a lighter color. That was an easy fix. I painted the built-in surrounds the same color as the new paneling and painted the insides/backs of the built-ins the same color as the walls. 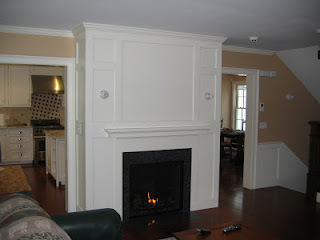 I also added just a little trim to the tops of the built-ins so they would flow with the new paneling. 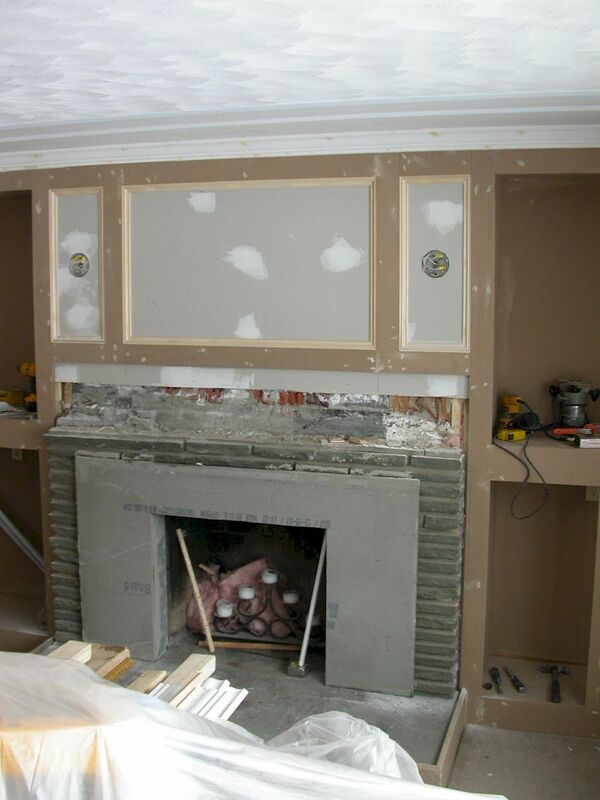 Before: Built-ins were a mustard dijon yellow (this was actually the color of the whole room when we moved in) and brick on top of the mantel. 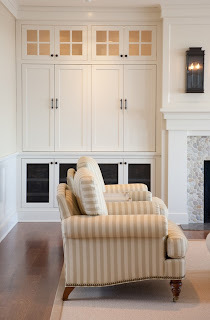 I wanted the built-ins and the new paneling to have a cohesive look as if they were designed together. So I tried to build the paneling with the same style as the rest of the room. 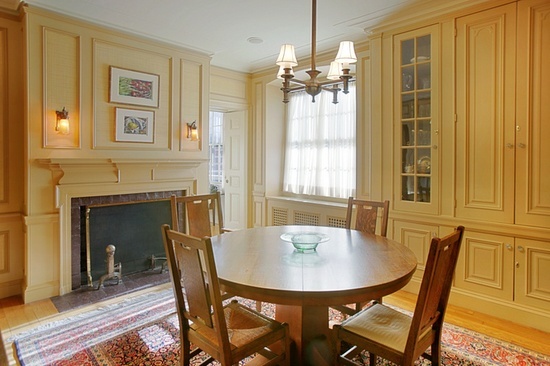 It is more or less a board and batten style. Very Simple. I found my inspiration on Pinterest and Houzz. I took bits and pieces from my favorites and created what I hoped would be the best fit for our home and style. 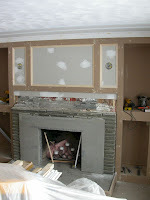 Now I am just trying to decide what to do with the bottom half of the fireplace... ideas? Right now I am thinking maybe leave the center (right around the opening) brick (I may or may not then paint the center brick white), and panel on the left in a similar style as the top. 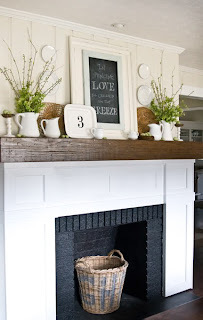 I love the rustic beam and I think it will pop a little more if the bottom of the fireplace is also paneled. Anyone have thoughts, ideas or inspirational photos? Thanks Jennifer! I love our portraits - I am sure your watercolor portraits are breathtaking! I love watercolor artwork!